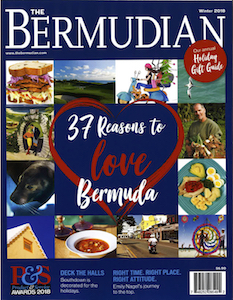 With three Best of Bermuda Awards under their Lycra in one year for best Health & Fitness Club, Spin Class and Personal Trainer, Beyond Fitness Bermuda is the ‘hands down and do a quick burpee’ winner of this year’s Award of Excellence. 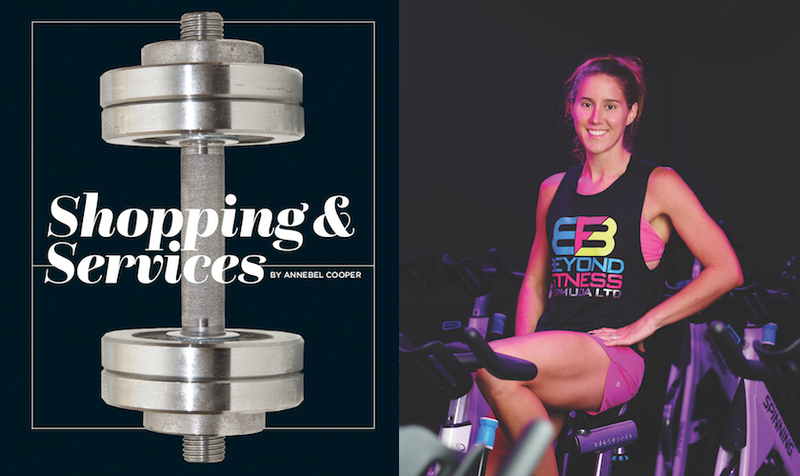 Owned by Christine Dailey, who is also an instructor and trainer at the club, Beyond Fitness has become ‘the’ place to work out. She has made sure that lack of time and dislike of the gym is not a viable excuse when it comes to fitness because the classes are at all hours of the day and are designed to be fun as well as a good workout. The variety of classes is unrivalled and includes the very popular Rx Ride spin class as well as BlastFIT, Pilates, TRX, TABATA HIIT, Barbell Burnout and a six-week boxing programme. On weekdays, the first class starts at 6.15 a.m. and the last starts at 6.30 p.m., with lots of other options in between. They also have classes on Saturday and Sunday morn­ings. If you prefer the more personal touch, their trainers, including the award-winning Shaun Green, all come highly-recommended for their enthusiasm, ability and determination to help you achieve your fitness goals. If you need gifts for several different generations, be it a boy aged six, an expectant mother or your mother-in-law whose age we shouldn’t mention, People’s is a great one-stop shop for everyone. Toys (for indoors and out), books, stationery, photograph frames, scented candles, yoga mats, soaps, they have it all—and more. The store has doubled in size in recent years; there is ample free parking, and just to be that bit more helpful, they will gift-wrap your items for free. As soon as you enter the Bermuda Book Store, you feel like you have found a treasure trove. Owned for the last 15 years by sisters Hannah Kaye Willmott and Miriam Kaye, this shop is the epitome of a small retailer doing it right. The judges also singled out the owners for their generosity. You can barely move for the book tables and shelves stocking volumes of every variety. In addition to the usual categories, they also have kids books and Bermuda books. Looking up from Reid Street into the windows of The Annex Toys is enough to make you want to be a kid again. They have a great variety of toys and are known for having different options to those found in other stores. Whether it’s a gift for your own child or something for them to take to a birthday party, you are bound to find the classics they all love alongside the latest gadgets and brands they all want. Popularly known as “the people’s gallery,” and hailed by the judges for living up to this name, the Bermuda Society of Arts is a community gallery that showcases everybody from primary school children up to well-known local artists. They support arts education by running workshops and giving an annual bursary award to a Bermudian student and they strive to provide a platform for local artists to display their work in their imaginative and visually enjoyable gallery space. In a time of need, a pharmacist going above and beyond makes a huge difference. This is what happened when a family member of one of the judges was sick. “I was at the pharmacy a lot and the care was amazing! The pharmacist was very attentive and recognised me when I came in. The personal touch made such a difference.” The parking is also easy and it is very convenient when you can pick up medication and prescriptions at the same time as your groceries. You can get so much in Price Rite. It’s stocked with every- thing—food, toys, coffee makers, you name it. “When I have the kids home, I can easily buy 50 hamburgers,” commented one judge. Their locations in Pembroke and Warwick are both convenient and they are open seven days a week. You can also use vouchers for The MarketPlace at Price Rite because they are part of the same group. Not only do they have everything you might need for whatever activity you are kitting yourself or your family out for, but the customer service at Sports R Us really sets them apart. “I like that they always help”, agreed the judges. Once, when one of the judges was running late, staff even kept the door open so she could run in and buy some gloves for her son. He was in the car and the staff member let her take them out to him to try them on, just to help her out that little bit more. They also have an excellent shoe section. A regular favourite for the Best of Bermuda awards, Lindo’s in Devonshire just keeps getting better. As the variety gets bigger, the staff are even more helpful when you can’t fi nd what you need. In addition to vast quantities of fresh produce and all the usual favourites, their organic and gluten-free ranges have also expanded. The store is large, so it rarely feels crowded and there is great parking. “Very good value com- pared to some of their competitors. They can even compete with Amazon price-wise on products,” said the judges of Red Laser, which has become the “go to” place for everything you might need, or just want, computer-, digital device- or gadget-wise. Some of the latest products on offer include the Amazon Echo Show, the JBL boom box, various Apple products, gaming consoles and security systems. 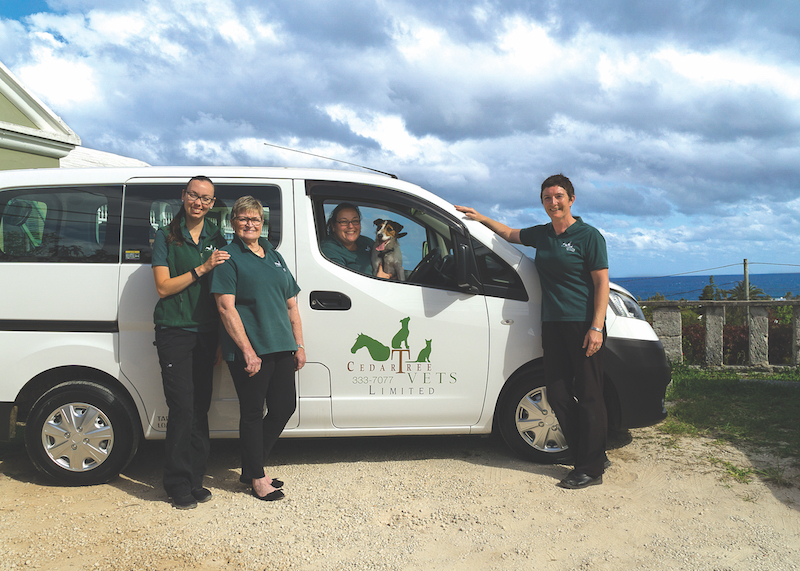 All the staff are well-trained and knowledgeable about the products they sell and they offer free island-wide, same- day delivery. Popularly known as G&G, these guys are expert fixers of cell phones and tablets, and are prepared to take on almost anything, no matter how bad the damage. They are also generous as well as knowledgeable. “They fixed a screen on my daughter’s phone so many times that they gave her a protective screen for free,” said one of the judges. Their Facebook page is littered with grateful and complementary reviews praising G&G for their persistence with a difficult job, friendly customer service and ability to fix things quickly. Fuel? Check. Air for your tyres? Check. Tasty buffet? Check. Any kind of product you need for your car? Check. Help when you don’t have a clue why your car is making that funny sound or steam is coming up from under the hood? Check. The RUBiS gas station in Warwick has it all, can do it all, and everyone who works there is happy to help. You can enjoy hot or cold drinks, a magazine or newspaper, or something to eat while friendly and knowledgeable staff will do whatever needs doing to improve your motoring experience. When you have a water emergency, speed is of the essence and according to one of our judges, James “always come when I call. They’re great, good people.” The judges also commended them for regularly coming to the rescue of the Bermuda Fire and Rescue Service when they need additional water. This family-run company, currently managed by brothers Tim, Jeffrey and Phillip James, has been in the business since 1979 and they don’t just deliver water, they will also clean and repair tanks and clean and repair roofs. At first glance, a massive warehouse full of beautiful new furniture can be exciting but also daunting. Furniture Walk therefore prides itself on offering high-quality customer service and this is what made it stand out above its competitors. “Great service and a better price,” they agreed. In particular, they singled out Sandra Proctor for her “very personal service.” They have a huge selection of brands for everything you need in your home and their Paget location is very handy. Edric White from Wilfred White & Sons is one of a kind and has been a plumber for over 50 years. He and one of his brothers both worked for their father, Wilfred, who began the business and Edric first started helping him out when he was eight years old. He can fix almost anything, but where he excels is with old Bermuda houses—especially modern plumbing mistakes in old houses. He just understands them! He is now in business with his nephew Stephen, and they turn up when they say they will, are professional, extremely knowledgeable and brilliant in an emergency. The name says it all— People Everywhere Need Great Electricians, and at P.E.N.G. that’s what you will get, in particular from JeVon Smith. He will do everything from residential wiring and troubleshooting to commercial installations, maintenance, service and repair, and security cameras. He can handle generators and uninterrupted power supply installations. JeVon is experienced, friendly and is generally praised for his affordable, quick and professional service. 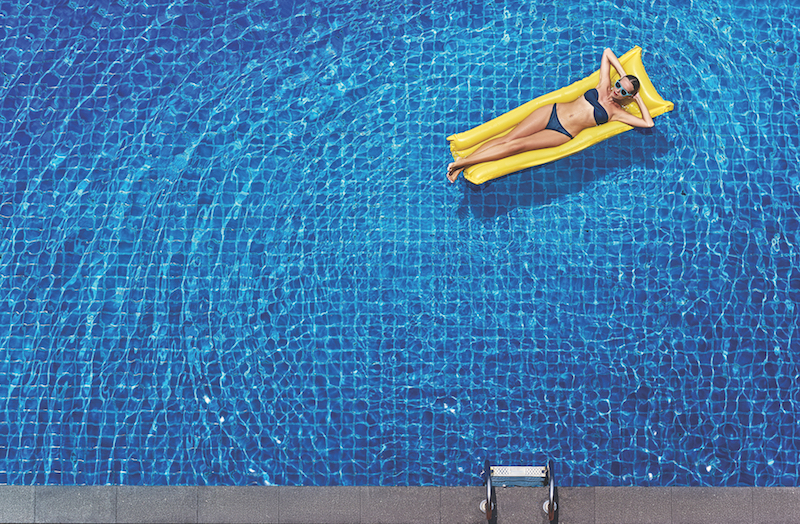 Maintain, repair, design, build, whatever you need for your dream swimming pool, Pimentel can provide. “We don’t do half-way jobs,” says Manuel Pimentel. “If we say we will do it, we will do it. We don’t cut corners.” Manuel started over 20 years ago by cleaning pools on the side of his full-time job and saw a gap in the market for pool repair. His company now cleans around 184 pools per week and repairs a lot of leaks. He then moved into design and does patios and decks as well. One of their signature products is a panelled, clear glass for enjoying the view from your pool, and they stock special lights to go around that glass so you can still see through it at night. 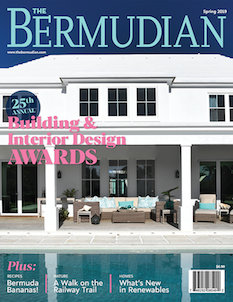 Top-notch quality and variety are the main reasons why International Imports is once again a Best of Bermuda Award winner. “Their birthday party things are the next level,” said one judge. “They have great bowls and platters—they sell all the things that make you think you’re a chef.” “The knife quality is amazing,” commented another. “My Dad bought me one when I was aged 22 and it’s still perfect.” Their shelves are bursting with all the best name brands in cookware, bakeware, knives, mixers, dishes, cookbooks and other amazing things you didn’t know you needed, but are bound to be useful next time you serve up a feast. Want to get fit, but dread the thought of going to the gym? Want variety and inspiration? Stuck in a rut fitness-wise? Beyond Fitness was a hands-down winner because of their huge range of classes, training programmes and experienced, enthusiastic personal trainers. They offer everything from high intensity, weight and spin classes to yoga and pilates. There’s even a Beyond Fitness Fight Club. Their classes are timed with office workers in mind and start early so there is no excuse not to pop in before work, during your lunch break or to relieve stress at the end of the day. They also do classes on Saturday and Sunday mornings. Rx Ride at Beyond Fitness is a 45-minute high-energy ride that will work your entire body and is the most popular class at Beyond Fitness. The music, the lighting, the rhythm, the instructors’ energy all combined makes for a fantastic workout. Each instructor has their own signature style and they never use the same play list—it could be dance, soca, rock or something else entirely, but it’s loud and it’s fun. The class also involves hand weights and core work. Marcia is a community-minded person who formed Fusion- Works to get more people on the mat and have time for themselves. Her classes are unique, reasonably priced and cater for every body type. They take place at different locations including Sabor Dance Studio, Just Breath Studio in St. George’s, Bermuda College and Astwood Park. They include “Strala Yoga to Reggae Vibes,” “Sunday Sunrise Yoga,” “Yoga for the Curvy Voluptuous Woman” and “Fusion Pilates.” She also specialises in Parkinson’s disease movement and is a trauma trained instructor. Keeping your boat afloat can be expensive and stressful and if it is not maintained properly, it only becomes more expensive and more stressful! For the Best of Bermuda Award in boat repair, there was no argument about which it should go to—Mills Creek Marine. 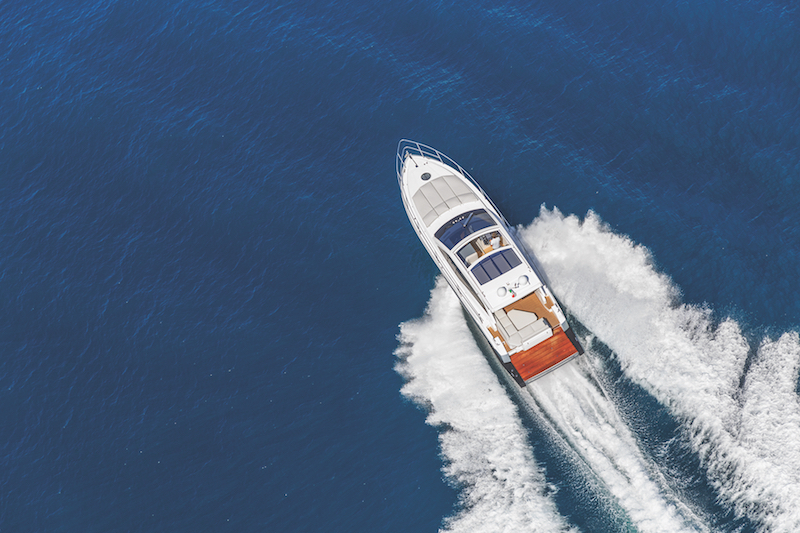 They have been serving Bermuda’s mariners for over 30 years and whether you need your boat hauled, the electrics fixed, the bottom painted, woodwork varnished, or a completely new engine, they can do it all. Cardoza’s has been helping he Bermudian motorist since the year cars were first introduced to the island and their reliable, expert and friendly service is legendary and is the reason this is just the latest in a long line of Best of Bermuda awards for the garage. “I have really old cars and he just keeps them on the road,” said one judge. “He has saved my car many a time,” added another. They were also singled out for being helpful when it came to finding cars for people moving to Bermuda temporarily for the America’s Cup. “Great service from Ambrosio Cycles from start to finish.” “Ambrosio Cycles is the best.” “The owner fixed my mirror in less than 30 seconds and with no charge.” These are just a few of the examples on MAJ’s List where Ambrosio Cycles has provided a best-in-class service to its customers. Conveniently located, they are renowned for their expertise as well as their professional attitude. Don’t have an appointment? Drop your bike there anyway and they will do whatever they can to fix it. If it’s an emergency, they have been known to stop what they were doing and turn a bike around in five minutes to help out someone in need. The Chelonia has been in business for a long time and it’s no wonder. 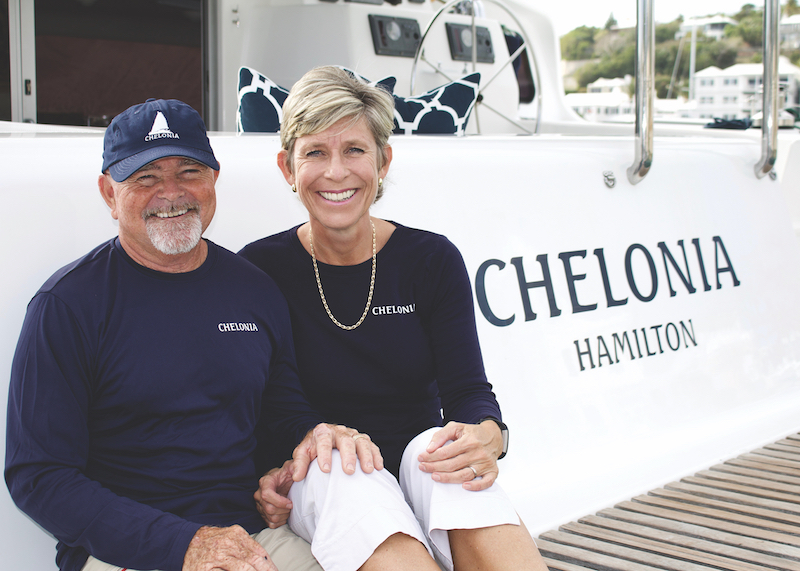 Owners Paul and Monique Terceira take amazing care of their boat and their guests. The Chelonia is a catamaran so events are relatively intimate. Whether you are enjoying a cocktail cruise for 20, a catered dinner for 10 or an event customised according to your wishes, you can be assured of the highest quality of everything—service, food and views. They also have complimentary on-board equipment including snorkel gear, underwater scooters, a glass-bottomed kayak and stand-up paddleboards. 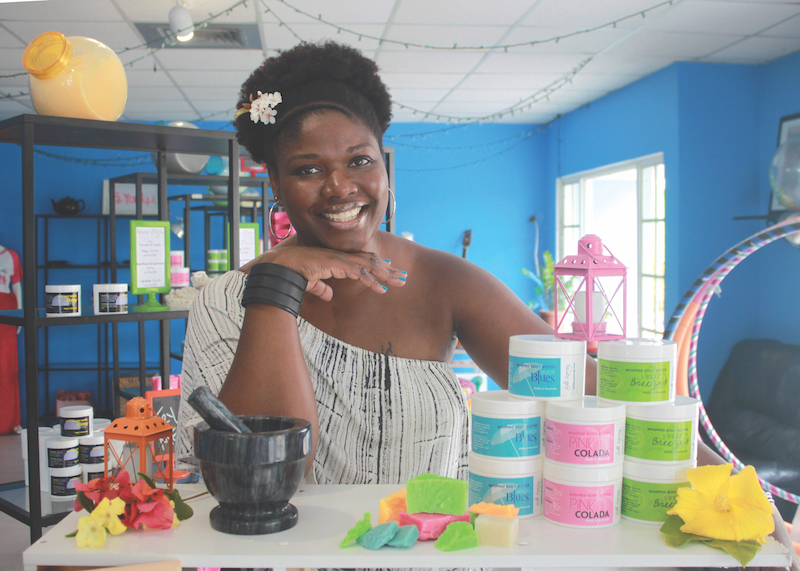 Once again, the Orchid Nail Spa’s amazing customer service has won them a Best of Bermuda Award. They also have everything you may need to make your feet ready for summer sandals and repair your fingers after what we put them through on a daily basis. Need something quick? A “mini manicure” will only take 20 minutes. Fancy a little slice of heaven? Sit back, relax and enjoy an Orchid pedicure, complete with leg and foot massage. They also do acrylic/gel, artwork and extra-long nails. The minute you walk into the Willow Steam Spa you start to relax. “Nowhere else I’ve been to compares to Willow Stream,” said one of the judges. “It is very hard to beat. You can have the whole day there. It’s very relaxing.” The staff are known for making sure you enjoy a 5-star experience while you wait for your treatment, which could be a facial, pedicure, massage or couples treatment. They also serve up healthy lunches and have a beautiful indoor pool. There are a lot of real estate agents in Bermuda, but Cesa Edwards of Bermuda Longtail Realty stood out among the crowd according to our judges, because she is “honest, fair, realistic with prices, answers e-mails and is responsible. Being easy to work with is really important in real estate. She will give her opinion without thinking ‘will I lose this as a commission/ sale?’” The judges also hailed her interesting range of properties, which suit a wide variety of budgets. Seth Pearman is not only a great massage therapist, but he is also a young entrepreneur who combines building a business with generous charity work. “He does amazing work and I like his business ethic,” said one of the judges. “He’s grown his business from one table to office space. He’s a good person. He gives massage therapy at the Hospice and he also does patients at Agape House.” Salvéo means “to live in good health” and that is what he aims to achieve for his clients through traditional methods of massage combined with the latest in scientific research. He also visits offices to relieve the tension from stressed employees. At the age of 13, Ricky Spence got his first job working at his older brother’s barbershop and it was from there that he started cutting hair—testing out his skills on his friends at school and then setting up his own shop. “People really like him and trust him,” said one of the judges. He also does a lot for the community. He teaches a class at CedarBridge Academy every week and hosts a free general health screening each June for those who couldn’t otherwise afford one, which includes a 100-yard dash outside the shop. This is the not the first time Island Health Services has been a Best of Bermuda Award winner for their excel- lent medical services, but this year one doctor in particular, Samantha Price, has stood out. When it comes to a GP, expert medical talent is a priority, but character, kindness and attitude towards patients is also very important. “A wonderful doctor,” praises one happy patient on MAJ’s List. “I love her!” enthuses another. Dr. Price was also the doctor for Team Japan during the America’s Cup. Another very tough category for the judges, Ocean Rock Wellness was the agreed winner because of the “multitude of different services” they offer. 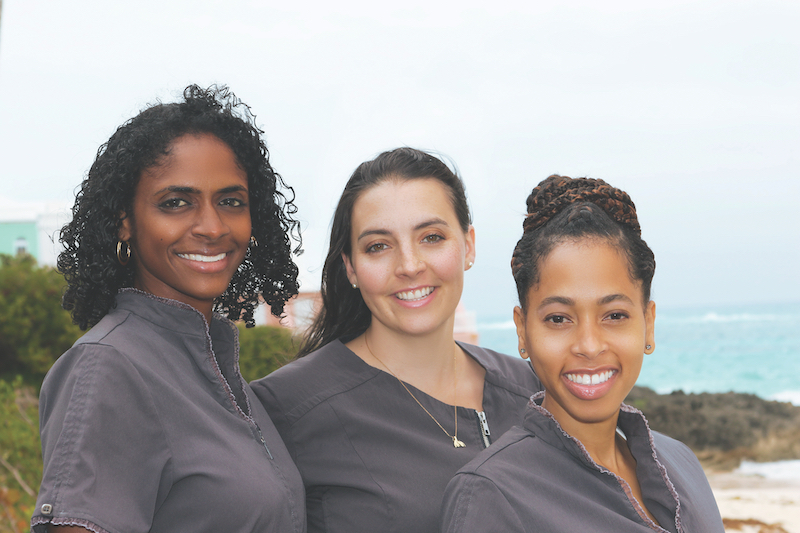 Founded by Dr. Ayesha Peets Talbot, Dr. Sabrina Famous and physiotherapist Beth Hollis, their mission is to help Bermudians live a balanced and healthy lifestyle through integrated health care promotion, education, and delivery. They offer programmes for chronic disease and weight management, holistic pediatrics, physiotherapy and acupuncture, yoga classes, biomat therapy, functional medicine and much more. The judges particularly loved Kenny’s Kitchen for its “all Bermuda types of food.” In particular, his fish chowder, local fish, mac n’ cheese and peas & rice are popular. Kenny’s business is primarily outside catering and delivery, but every Sunday he prepares codfish breakfast at his Ex-Artillerymen’s Association location in Hamilton, but you have to get there quick… they’re a sellout. Kenny Rawlins got into the catering business in the 1980s doing the events on Hawkins Island, but he founded Kenny’s Kitchen in 2001 and he and business partner David Speakman are known not just for their delicious food, but incredible, friendly service as well. “Tax doesn’t have to be taxing,” or so the saying goes, but let’s face it, for most of us, it is! Yet another complicated form to fill in! Do I need to include this, that or the other? When are the deadlines? No matter how trivial your question, the friendly staff at the Office of the Tax Com- missioner can help. 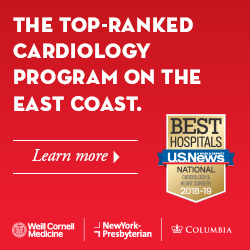 If you can’t find the information you need on their website, you can just give them a call (all the numbers you need are on their web- site—another bonus) and speak to a very patient person, not a machine. This is another very tough category as there are so many excellent drivers on the island, but government bus driver J.R. Clarke was a clear winner for making sure all his passengers have a safe and enjoyable journey whilst he is at the wheel. There was even a particular incident where a child had been put on the wrong bus, but luckily, it was Mr Clarke’s bus and he made sure the girl in question got where she needed to go. He is a “bus driver that’s really kind, helping tourists, children, Bermudians, everyone…” said one of the judges. “Awesome job,” said the judges. “They clean deeply, even getting all the sand out of the car. They’ll put special wax on your car; rust-proof and then remind you about the rust-proofing every year.” Executive Auto Detailing customers praise them for their “incredibly friendly staff,” their shuttle service and for going “above and beyond with my rust-proofing service.” They rust-proof your car using Ziebart’s rust protection formula— injecting it into all the nooks and crannies. They can also do window tinting and headlight restoration. When you have problems with your vehicle there is nothing more reassuring than a team of people for whom nothing is too much trouble. This is the level of service you will receive from the family- run RUBiS Dowling’s Marine Service Station in St George. It may be small, but the welcome is huge and you can enjoy the water views while someone kind and experienced fi xes your tyres, checks your engine or simply fi lls up your car, bike or boat. Without a doubt, the best value for money in 2017 was two tickets to the America’s Cup Village. Not only could village spectators enjoy the world-class sailing but there was also a playground and other activities for children of all ages, a wide variety of delicious food vendors, live music, the opportunity to see the teams up close, and free water refills (a huge saving in itself!). The judges were unanimous—the village organisers really did knock it out of the box. The whole set-up was unrivalled.